Having already posted one comment to WBUR's heated discussion about "what caused the housing crisis and how to fix it," I was content to watch the debate unfold yesterday until several posts began spreading misinformation about the role of buyer agents and whether they help clients save money. $60 Billion question: How do consumers uncouple real estate commissions? Contrary to assertions on WBUR's blog, some REAL buyer agents, not counterfeit buyer agents or "designated agents," actually do save their clients money by (1) rebating some or all of the buyer agency fee built into sales prices, and (2) by helping their clients shop wisely, time the market, and negotiating aggressively on their behalf. For tangible evidence, see Wall Street Journal article on the 100% commission rebate offered by The Real Estate Cafe, our menu of fees & rebates, and map of client savings totaling over $1 million during a twelve month period. At least one other buyer agent in Chicago has helped clients save more than $1 million during a twelve month period and there are probably others. More importantly, new referral sites like http://www.ProOffer.com and conversations like this could bring performance based compensation into the real estate industry. My guess is that millions of real estate consumers, both home buyers and sellers, would agree that reform is long overdue! What's your opinion? Do buyer agents really help consumers save money? If you're unable to join us at the TweetUp tonight at TogetherInMotion, One Broadway in Arlington, text your response to our Wiffiti board so anyone online or at the TweetUp can read your perspective. Send us an email if you'd like to participate in one of our upcoming Bubble Hours or "Fear of Foreclosure" support groups for anxious homeowners. 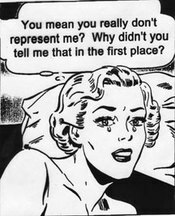 I've spend the morning deconstructing Realtors are not immune to foreclosure, an amazingly transparent blog post on a leading real estate web site. The author's concluding question -- Why did so many people, including Realtors, buy homes in 2005? -- has been and will continue to be the spring board for innumerable blog posts, talk show interviews, research by economists and parodies on YouTube. But now imagine what the authors of Freakonomics or Saturday Night Live could do with this admission that some real estate agents "helped people buy homes that they could not afford," and then repeated the same mistake themselves. Personally, I'd love to see investigative reporters dig into the conflicts of interest in the real estate industry and expose how deceptive and manipulative business practices, like dual agency and blind bidding wars, fanned the flames of "irrational exuberance" and, as this highly respected blogger admits, ultimately burned Realtors themselves. Perhaps industry regulators will create new disclosures to protect consumers and prevent another trillion dollar collapse of the housing market in the future. Were you aware that a Washington think tank estimated a "loss of almost $6 trillion in real housing wealth over the course of the year, an average of $85,000 per homeowner"? Historically, potential home buyers have been advised to ask agents about their sales volume, but now it's wiser to ask prospective buyer agents if any past clients are upside down on their mortgages or involved in foreclosure. What if a such a negative equity or "foreclosure disclosure" were required by law? Outrageous some might scream, unrealistic others would argue but blogs have already created a decision-making tool for web-savvy home buyers to decide who will best protect their financial interest. Try this experiment, visit two real estate blogs and see what their authors have written about the housing bubble. Look at their posts during 2005 -- was your prospective buyer agent echoing NAR's "anti-bubble" spin or warning homebuyers about the coming meltdown? 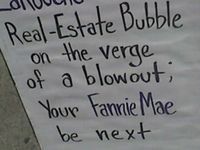 In retrospect, this Real Estate Cafe blog post from April 2005 sounds prophetic: Will mobloggers pop the real estate bubble? My hope is this blogger's admission that Realtors are not immune to foreclosure will expand discussion about systemic flaws and conflicts of interest in the residential brokerage practices, and their cost not just to individual buyers and Realtors but to society. Who could imagine a better time and place for some "straight talk" about the need for real estate reforms than John McCain's speech tonight at the Republican Convention in this blogger's backyard? Boston is forecast to see a 10.5 percent decline in single-family home prices by May 2009. While that's slightly higher than the projected 9.7 percent decline for the nation overall, there are 35 metropolitan areas expected to see bigger declines. In the past five years, prices had increased slightly more than 13 percent in the Boston area, according to Money's calculations. The other four areas included in the list are also expected to see price declines: Cambridge (8.5 percent); Peabody (8.8 percent); Springfield (9.5 percent); and Worcester (9.2). Would One Broadway in Arlington -- near the Cambridge, Somerville, Arlington, and Medford lines -- be convenient for people, particularly parents who can bring the kids to play while adults talk? Open to suggests on when and where to host this Bubble Hour, as well as future gatherings and topics. 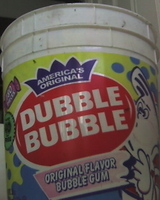 Follow http://twitter.com/RealEstateCafe for updates on time and place, as well as other BUBBLE BITES. Watch for link to upcoming story on slowdown in Cambridge housing market, too. Preview of market stats and custom research available "a la carte." Call The Real Estate Cafe at 617-661-4046 or email for details. Misleading home buyers: Conflict of Interest? What conflict of interest? Thankfully, a recent NYTimes article, Feeling Misled on Home Price, Buyers Sue Agent and an interview hours ago on Today on MSNBC, are beginning to shed light on deceptive real estate practices. However, the article doesn't expose widespread conflicts of interest that contributed to the real estate bubble and their growing cost to society. "As prices spiked, buyer's agents and brokers became popular as sounding boards, advisers and negotiators. The National Association of Realtors estimates they are now involved in two-thirds of all residential purchases." That makes this the first housing collapse in which large numbers of buyers had a real estate professional explicitly looking after their interests." "We have seen so much misrepresentation over the last five years," he said. "So I appreciate where these buyers might be coming from: 'I'm a lowly consumer, you're certified by the state of California, you didn't do X, you didn't do Y, and I got hurt.' "
3. The NYTimes speculates that consumers, angry that their counterfeit buyer agents did not provide adequate advice and protection, will increasingly take legal action. Will their collection actions rise, at some point in some overvalued market, to a class action lawsuit? "The Ummels may be on the leading edge of the law, but they are unlikely to be alone for long. With the market falling, many homeowners owe more on their mortgages than their houses are worth. And many of those deals involved brokers who are required to carry professional liability insurance, presenting a tempting target for angry buyers. 'If you put someone into a property at the top of the market, you look really bad if it goes down,' said K. P. Dean Harper, a real estate lawyer in Walnut Creek, Calif. 'There are a lot of letters going out from lawyers to real estate agents saying, 'My client would never have purchased if you had properly evaluated the market conditions and the value of the property.' "
My so-called buyer's agent (who promptly switched roles at contract signing without explanation), initially advised me to bid $750,000 for my house of choice, which was listed at $699,900. When I told her that such an offer was beyond my price range, she was quite adamant that I not offer anything under the list price. When I finally backed out the deal because of her bait and switch scam, I later heard that the house in question sold shortly afterwards for $682,000--in other words, nearly $70,000 less than the bid suggested by my so-called buyer agent. This type of price inflation (caused by seller's agents masquerading as buyer's representatives) must have a very distorting impact on housing costs. The economic fallout is enormous: ordinary citizens are forced to move out farther in search of decent, affordable places to live, which leads to a host of problems connected with traffic congrestion, suburban sprawl, etc. 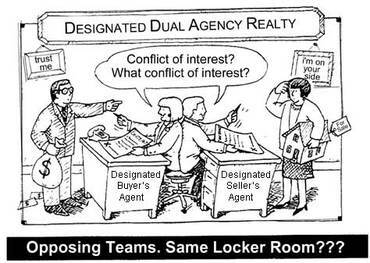 As I perceive it, the real estate cartel's use of dual agency [a.k.a. "designated agency"], which works to the detriment of the average consumer while enriching dishonest agents through the practice of double-dipping, contributes significantly to the manifold problems we see in the residential housing market and therefore should be fully exposed. 5. Who will end up paying the cost? Commenting on the mortgage package included in the tax rebate agreement announced by Congress and the President, a link on BostonBubble reads: "Profits privatized, risks socialized - Economic stimulus a wealth transfer from the middle class to the rich and the reckless." See Paper Money's blog post for call to action. Conflict of interest, what conflict of interest? PS. The NYTimes may not have gone far enough, but the story (once, the most forwarded story in the NYTimes) is echoing around the blogosphere. Some in the industry are worried this may be "the tip of the iceberg," and the buyers told MSNBC's Today show they want to change the industry. Sounds like the Consumer Revolution we've sought over the past 15 years. Best site to identify commuting costs & hassles, in good weather & bad? Earlier today, Bryan Person launched a wiki called Awful Commutes. Right now, it seems to be focused on collecting stories from yesterday's snow emergency in Boston which unexpectedly turned commuting into winter sport. No need to limit the wiki to accounts of those 5 and 6 hour marathons. Three years ago, I thought about moving to Lowell, MA but decided to stay in Cambridge because I could walk to so many important places in my life. My understanding is that Walkscore.com helps potential homebuyers identify the most "walkable communities." Not everyone has the option to live in a walkable community, hence the need for a decision-making tool that helps home buyers evaluate communities -- and specific listings -- based on their household's commuting needs. Does such a tool or site already exist? If so, what's the best one to use to assess the cost of commuting in Greater Boston, and hassles factors on alternative routes? Do "best of breed" commuting sites already include wikis? If not, hope Awfulcommute.pbwiki.com becomes the commuting equivalent of RottenNeighbor.com, at least here in Boston. I'd certainly recommend that kind of interactive tool to The Real Estate Cafe's 'do-it-yourself" home buyers. 7. One in ten sold for at least 17% below than their original asking price! So, if you are a buyer, don't be too quick to base your assessment of market value, and hence your offer, on median sales prices or market indexes which are showing modest declines. Historically, one in five homes which go under agreement between Thanksgiving and New Years, sell for at least 10% below the original asking price. As the statistics above reveal, price reductions are likely to be deeper and more wide spread this year. 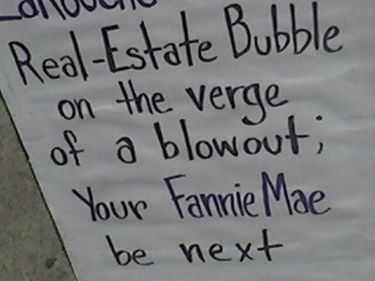 We'll map them on our award-winning real estate bubble map. It's an open, interactive map so Real Estate Cafe clients can earn rebate bonuses by adding properties, too. Will real estate consumers begin comparing hourly fees to savings? "The findings [-- that "One City's Home Sellers Do Better on Their Own --] fly in the face of studies by the National Association of Realtors. The group has said that houses sold via its members' local multiple listing services get a 16 percent premium over homes sold by their owners." The timing of the story is also important because it echoes a Wall Street Journal headline this week cautioning "What You Don't Know About Real Estate May Cost You." 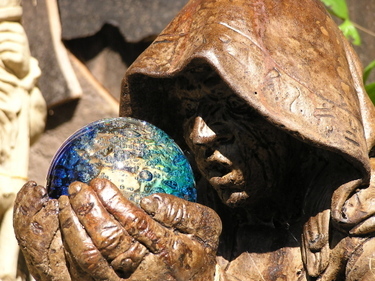 "...sellers [and homebuyers?] will begin to examine more closely the cost of all the small tasks handled by agents. To justify a $12,000 fee on a $200,000 house, he said, "you'd have to have a very high hourly rate" for an agent's work." Another industry critic, Mark Nadel, says that kind of disclosure could help deliver an estimated $30 billion annually in consumer savings. Yes, existing fee-for-service business models like The Real Estate Cafe would benefit greatly from such a regulation, but if "unit pricing" is now commonplace in supermarkets why not require similar transparency in real estate so homebuyers and sellers can compare effective hourly rates? Yesterday, Economist Mark Zandi predicted that the housing market would continue to weaken through the summer. You can listen to WBUR audio clip online. Our weekly schedule is now online at 30Boxes.com. If you'd like us to discuss a topic you, in-person or online, you can post an educational event on our experimental wiki calendar, too. The homebuyer above concluded, "Isn't there any investigative team or media personage with the courage and tenacity to shed light on this problem?" We'd like to ask how homebuyer and sellers who have been victims of dual agency, designated agency, or faulty agency disclosure can use social networking tools, like blogs, wikis, and interactive mapping, to expose the problem and prevent other consumers from being harmed? Does anyone know if such an organizing effort is already underway, or have ideas about how to get one started?